The author of Blood on Silk brings readers the next novel in her seductive new Awakened by Blood series. 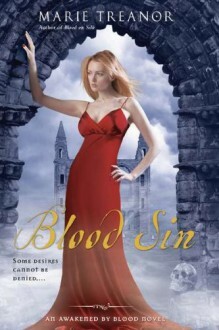 Months after her dangerous encounter with the vampire overlord Saloman, Scottish academic Elizabeth Silk is still trying to cope with both the demands of her vampire-hunting bloodline-and the desire she feels for Saloman, the immortal she brought back from the grave. But when Saloman's ancient sword becomes the object of a ruthless race between humans and vampires, Elizabeth must decide between unwanted loyalty, or unholy love.